The Landscape Architecture Department at Cal Poly prepares students for professional careers dedicated to planning, designing, and managing landscapes essential to a healthy and safe society, while balancing these needs with the natural environment. Your support and involvement can have a powerful impact on students. As valued contributors to the Cal Poly family, our professional partners offer office visits, conduct field visits to project sites, and engage classes in real-world projects. These all provide valued mentorship for students. Hiring a summer intern provides a student professional opportunities that they cannot obtain on campus. 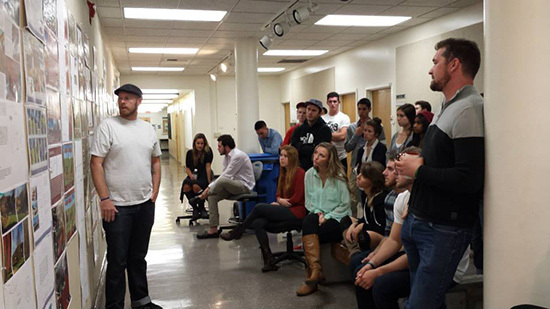 Attending a design critique or coming to campus as a guest speaker can provide additional leadership to the program. Invest in our students. They are your future employees, partners, and leaders. Scholarship support is a critical part of student success. Your donation not only provides financial support to the recipients, but it also enriches their academic experience. Join our industry, foundation and family scholarship supporters by making a contribution to an existing scholarship or, for a minimum of $1,000, start your own today! Life happens -- and it’s never on time. The computer breaks right before the final report is due, or an emergency back home requires an immediate trip to see family. Maybe incoming dollars don’t match up to the bills, or a student is short on materials for a final project. Help to ensure that a student with an emergency has the support they need to meet the challenge, and continue with their endeavors in school. 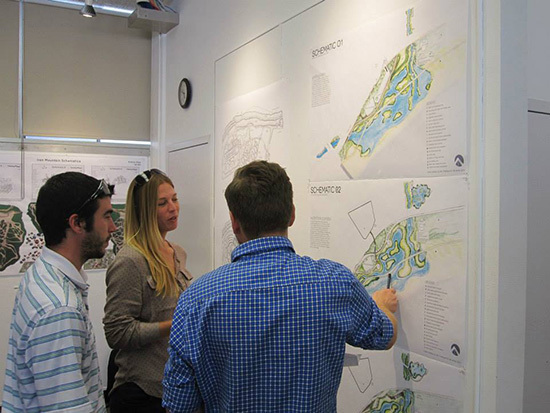 Landscape architecture students are encouraged to enter hands-on competitions to foster resourcefulness, project management and leadership skills, and the ability to work in teams. Your donation would allow individual students or teams an opportunity to compete against other universities from around the state and nation. Your support of student competitions ensures valuable learning experiences and engagement with industry. 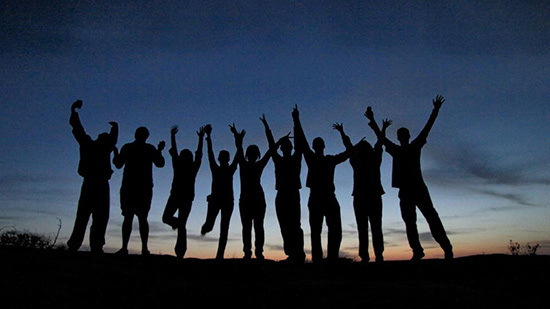 One of the most enriching and life-changing experiences for a student is the opportunity to study abroad. Travel to another country broadens a student’s perspective and illuminates her future role in contributing to humanity and the field of landscape architecture. The department recognizes this benefit and provides numerous opportunities for students to participate in overseas study. Your support will ensure students who cannot afford the expense of travel the opportunity to be included. Courses, labs and studios are where our students gain valuable Learn by Doing experience. Your support helps keep these courses updated and relevant, and keeps the labs state of the art, allowing us to stay on track with new innovations and trends in technologies. Underwriting a course will ensure faculty offer projects that represent the reality of design today. Your support may be used to provide professional development opportunities to students, or provide transportation and lodging for travel to project sites, conferences or competitions. Equipment, supplies and materials may also be purchased with the funds. Your support of a specific lab or classroom will provide faculty and students necessary hands-on practical experience, which is essential preparation for a career in landscape architecture. The funds may be used to upgrade the physical environment of the space, including new furniture, computers, and printing capabilities. Specialized technology gives students the cutting-edge education they need to compete in today's job market. Such technology includes computers and upgrades, digital fabrication equipment, smart rooms, GIS, software licenses, and 3D and color printers. Our lecture spaces need to be transformed into smart rooms with projectors and smart boards to enhance communication and presentations with students. This unique interdisciplinary design charette brings our students together with landscape architecture professionals to address the challenges of a site exemplifying a key issue facing our communities and our profession. This week-long event begins with the formation of teams, and culminates with a juried review. 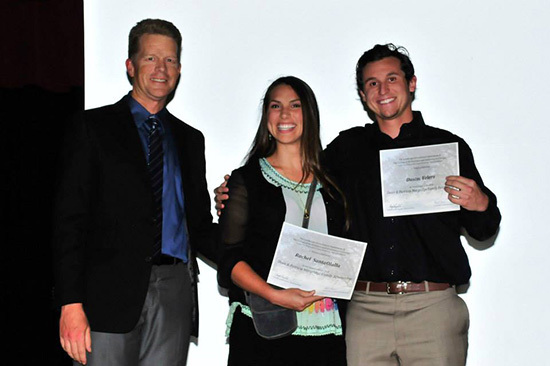 Student teams receive awards for best design solutions and best design process. Your support can help offset the cost of student travel, publication of their work and advancement of the best solutions as entries in regional and national competitions. 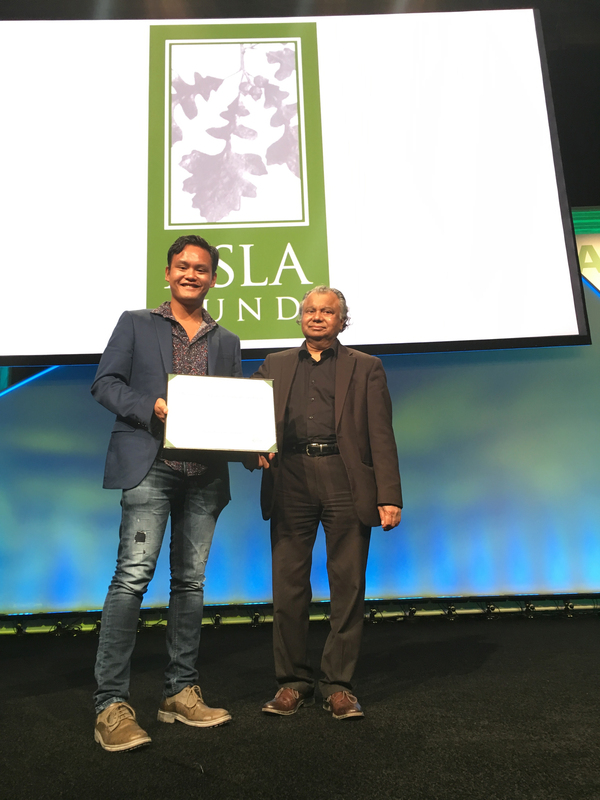 Support the SLO Journal, our annual publication that highlights the creative works of alumni, students, and faculty of the Cal Poly Landscape Architecture Department. Each issue features a story about the professional achievements of the sponsor. Provide funding for the publication of fifth-year senior project books as part of the Neel Resource Center permanent collection. These books will be readily available as resources for subsequent senior class projects. This would also provide a historical record of landscape architecture student accomplishments at the college. Sponsor the addition of Landscape Architecture letters to Dexter Hall. Fund the development and installation of a student work display in the lobby space outside the landscape architecture main office or at the main building lobby of Dexter Hall. Update the pin-up space currently in the two main hallways of Dexter Hall with new panels and signage. Sponsor field trips and community engagement projects that enhance Learn by Doing. Support visiting experts and speakers who engage with our students and collaborate with our faculty. Contribute to the Walt Tryon Endowment fund that supports faculty development. Establish an endowed lectureship that will expand and enrich our faculty. Your gift to this discretionary fund will be used as needed to support such expenditures as student and faculty travel, materials and supplies, and outreach to prospective students. For more information contact Department Chair Omar Faruque at 805-756-1319 or ofaruque@calpoly.edu. Matching Gifts: Will your company match your gift? Learn more at or contacgt 805-756-2713. Planned Gifts: Make a legacy gift to the department, the college or the university by recording your intent in your estate plans. Visit plannedgiving.calpoly.edu for more information. Contact the CAED External Relations Office at 805-756-5138 for more information.